Unique Luxury Yacht Charter Experience in the Caribbean. Being on a luxurious, crewed yacht charter is a one of a kind experience that we cherish and are committed to introducing to our clients. We offer marvelous, all-inclusive yacht charters on power boats and catamarans for weekly rentals on the beautiful British Virgin Islands; a British overseas territory located in the Caribbean consisting of roughly 60 tropical islands. Some of them are completely uninhabited, you wish to recreate a Robinson Crusoe experience, or you may anchor on a more populated island with the option to go on shore to immerse yourself first hand into the islands traditions and visit major resorts nearby to use their excellent spa or dining facilities. The choice is all yours! 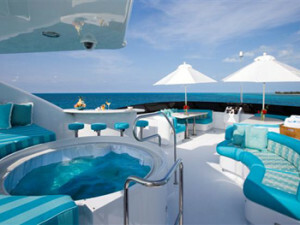 A Unique Luxury Yacht Charter Experience Indeed! We are happy to provide you with a carefully put together travel itinerary or give you suggestions for an unforgettable experience. The overall layout of the charter week is exploring 7 beautiful islands in 7 days, arriving at a new anchorage each night. It provides you with a fully crewed yacht charter on which every staff member is dedicated to please and serve you. We guarantee professionalism from all the crew members. Every person is highly trained, knowledgeable and delighted in showing and telling you all about your chosen destinations. The luxurious yacht charter includes exquisitely cooked food by a private chef, which will be based on your dietary needs and desires and includes only the best tasting, freshest and most superb ingredients. The crew will do their very best to accommodate all your needs and requests. There is a wide range of activities to choose from, such as snorkeling, fishing or diving. As one of the stops, you could cruise to Peter’s Island, a mostly undeveloped island with lovely hiking and biking trails as well as beaches that allow you to see the natural beauty that surrounds this island. You can choose between the Honeymoon Beach, quite appropriate for newlyweds, White Bay or Deadman’s Bay, which has parts of it open to visitors. For a drink, head to Soggy Dollar Bar at the fabulous White Bay and dare to try one of their original Painkillers, a must-have rum cocktail infamous in the Caribbean, but especially at the Soggy Dollar Bar right by an astonishing bright blue beach. 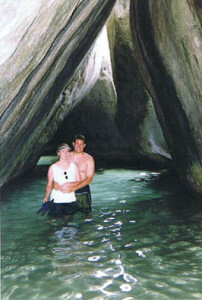 In addition, there are the Norman Island caves that provide perfect conditions for snorkeling, a trip to Virgin Gorda, the second most populous island on the British Virgin Islands with a geological sensation known as “The Baths”, or there’s also the smallest of the British Virgin Islands, Jost Van Dyke. Another beautiful spot to explore is Anegada, a flat group of islands, and unlike others on the British Virgin Islands, it is not of volcanic origin, but formed from coral and limestone. So why not rent a luxury yacht and get away for a week? 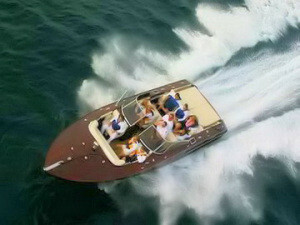 May it be for a family vacation, a romantic getaway or corporate function, a private yacht charter is a joy for everyone! It’s a great way to decompress and calms as well as engages your senses in a whole new way. Rent a luxury yacht now and experience the glamour, high touch and unbridled luxury on a 5-star yacht charter provided by us. 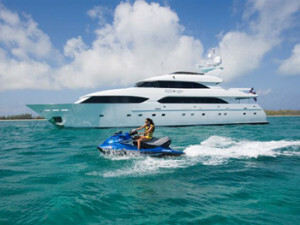 Please contact us for further information – we would love to match your needs with the perfect yacht charter itinerary! We hope to hear from you soon! Call 800-478-2029 for immediate service.